Saving for retirement can be done through stocks, bonds and funds but there are specific avenues with their own specific benefits just for retirement savings and this lesson will guide you through them. Retirement savings for the most part happens in a designated retirement account made of stocks, bonds and funds. The key difference between a retirement savings account and a regular investment account are the tax benefits. This is an employer sponsored retirement savings account into which you can contribute part of your income pre-taxes. There is however an annual limit on how much you can contribute. Many employers who offer the 401(k) plan will offer a match up to a certain percentage which does not count towards your annual contribution limit. It is also tax deferred, which means you will have to pay taxes come retirement (age 59 1/2) when you start to withdraw your money. The great thing about the 401(k) plan is that because you are contributing before taxes, all of your money gets put to work for you including what you would have paid in taxes which gives your contributions a bigger opportunity to grow and compound, far exceeding the growth you could achieve contributing less after taxes. However, it's important to keep in mind that when you retire, your funds will be taxed at whatever your tax bracket is at the time based on how much you withdraw each year. So you'll need to factor in taxes when you think about how much you want to take out from your retirement savings on a yearly basis when you retire. Note: In addition to the traditional 401k, many employers offer a ROTH 401k to their employees. It works the same way a ROTH IRA way does, as described below, but the main difference is the contribution maximum is much higher and similar in terms of the amount to that of the traditional 401k. These plan types are almost identical to the 401(k) plan but are offered to people who work as educators or in non-profit organizations - the 403(b), or who work for the government - the 457(b). This is a type of retirement savings account that you can set up individually, independent of an employer. 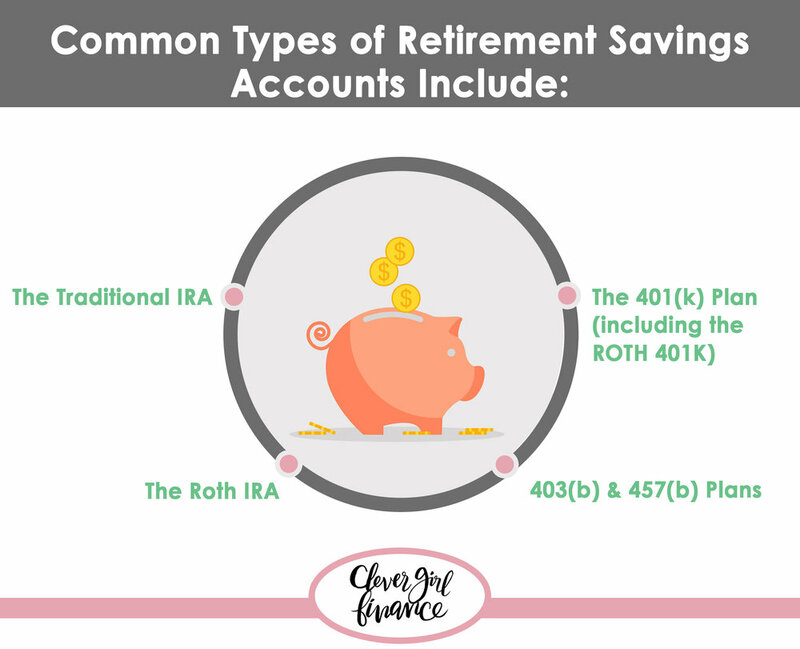 This account type is tax deferred (just like your 401(k) which means you will have to pay taxes come retirement (age 59 1/2) when you start to withdraw your money. Like I explained above, having your taxes deferred is actually a good thing because it means that all your earnings and dividends have the opportunity to compound which will grow your total balance much faster than if you were having taxes taken out upon contributing to the account. IRA contributions limits, however, are much lower than the 401(k), 403(b) & 457(b) Plans. Note: The above accounts are subject to immediate penalties and taxes if you decide to make withdrawals before the official retirement age of 59 1/2). This retirement savings account is similar to a traditional IRA but has some key differences - 1) Your contributions are made post tax (after taxes have been paid on your income), which means there is no deferred tax benefit but 2) the earnings on your contributions will not be taxed come retirement age and 3) you can make withdrawals on your contributions before you are eligible without any tax penalties. It is possible to have a combination of these different retirement avenues depending on your eligibility and you can learn more about each of these retirement investment avenues on the IRS website.